We support incoming groups with the best possible Services for climbing and ski mountaineering to Mount Damawand Iran. The most experienced senior mountain guides in Iran, members of Damavand Century Club; Certified mountain guide of Mountaineering and Sport Climbing Federation of Iran. Co-guide for group size 6 – 9 pax & 10 – 12 pax. 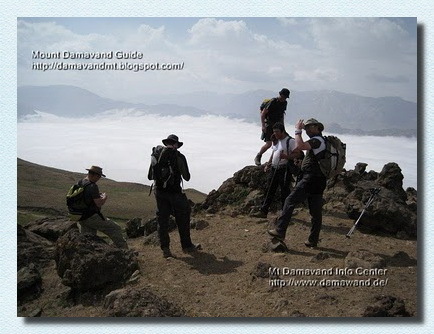 Damavand Climbing Permit, climbing permission from Mountaineering & Sport Climbing Federation Of Iran. A- in Camp1 Polour Hut, which is a good hostel/lodge. B- in Camp3 New Hut (instead of refuge, shelter or tent). At the height of 4240m, Camp3 New Hut is the best mountain campsite in the world for accommodation. • From IKA Airport/ hotel in Tehran to Camp1 Polour on day 1. • By 4WA cars from Camp1 Polour to Camp2 Base (as far as the car can go up) on day 2. 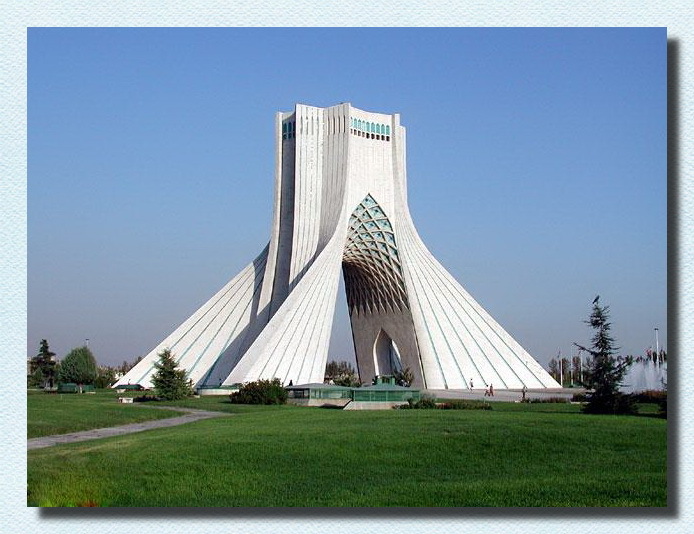 • Camp2 Base to Camp1 Polour and then to Tehran on Day 5. All scheduled meals while you are in mountain huts, mountain food and lunch box during the expedition. • Breakfast, lunch, lunch box, food packets for mountaineering, dinner. • Drinking water, bottled mineral water. • Tea, coffee, soft drink. We will transfer the following equipments by porter and mule to Camp3 few days in advance and will be available at camp3 before your arrival. • Sleeping bag (bring lining). 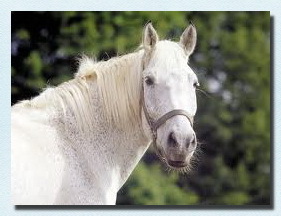 This is a land only itinerary, please make your own way to the starting point. • Personal mountaineering and climbing gear. • Unscheduled days on mountain. • Unscheduled hotel nights and meals in the city. • Domestic flights and excess baggage. • Insurance of all types such as medical and evacuation. • Unpredictable events which causes costs and expenses during the tour operation. • Expenses caused due to not running the program according to the fixed itinerary for any reason. Visit remarkable Damavand by guided tour. Info for ski and snowboarding Iran. Climbing tour organizer. Natural beauties, sightseeing and landscapes. 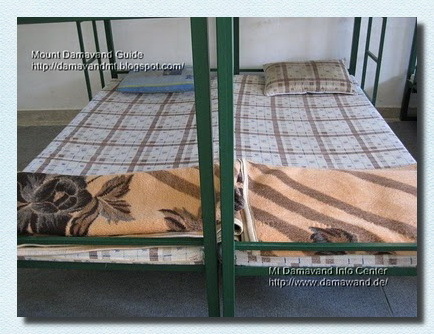 Damavand Services - Damavand Tour. Services and Logistics for Mount Damavand Tours. damavand Services, damavand Tour, services and logistics for mount damavand tours, logistics included damavand climbing, iran hiking trekking supports, iran ski tour services, iran visa support, damawand transport. Hiking trekking, climbing and mountaineering Damavand Iran guided tours 2015. Challenging mountain and mountaineering tours Iran. Hike and trek tours Alborz and Zagros Mountains. Expedition walk and trek tour Iran mountain zone. 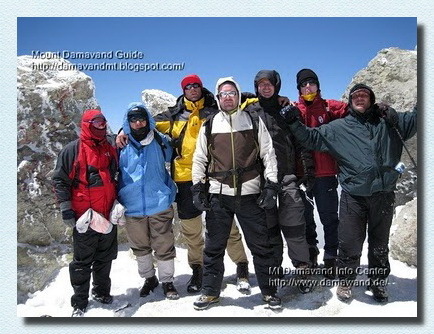 Climb to Damawand summit with the experienced guides. Iranian Mountaineering Association. Mount expedition photo, picture, snapshot, satellite pictures, Iran mountains weather forecast, meteo. 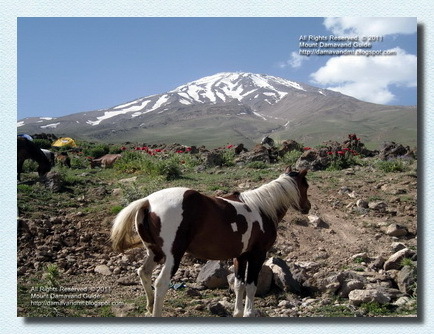 Damavand ordinary trekking to advanced mountaineering and climbing tours. Winter guided tour for climbing, ski mountaineering and snowboard to Alborz & Zagros Mountains. Mountain guide and outdoor activities tours 2015 Iran. Hiking & trekking, ski and climbing tours. Winter climbing and ski tours. Bird watching and butterfly catching tour. Climbing expedition tour guide iran mount 2015. Iran outdoor tourism activity, recreation and adventure tours. Demavand and ski touring. Summer and winter climbing and trekking tours. Damavand randonnée ordinaire à l'alpinisme de pointe et des visites d'escalade. Visite guidée pour les Winter escalade, alpinisme ski et de snowboard à l'Alborz et de Zagros Montagnes. Guide de montagne et activités de plein air tournées 2015 en Iran. Randonnée et trekking, ski et escalade Tours. L'escalade d'hiver et de randonnées à ski. L'observation des oiseaux et visite chasse aux papillons. Escalade expédition guide iran monter à 2015. L'Iran activité tourisme de plein air, loisirs et excursions d'aventure. Demavand et ski de randonnée. Eté comme hiver d'escalade et des randonnées. Damavand gewöhnlichen Trekking bis Fortgeschrittene Bergsteigen und Klettertouren. Winter-Führung für Klettern, Skitouren und Snowboard zu Alborz & Zagros-Gebirge. Bergführer und Outdoor-Aktivitäten Touren 2015 Iran. Wandern & Trekking, Ski-und Klettertouren. Winter-Kletter-und Skitouren. Vogelbeobachtung und Schmetterling fangen Tour. Climbing Expedition Reiseleiter iran Mount 2015. Iran Outdoor-Tourismus-Aktivität, Erholung und Abenteuer-Touren. Demavand und Skitouren. Sommer und Winter Klettern und Trekking-Touren. Damavand trekking ordinario di alpinismo avanzato e arrampicate. Inverno visita guidata per l'arrampicata, lo sci alpinismo e snowboard per Alborz & Monti Zagros. Guida alpina e le attività all'aria aperta tour 2015 l'Iran. Escursioni e trekking, sci e alpinismo tour. Inverno arrampicata e sci alpinismo. Bird watching e tour farfalla cattura. Arrampicata spedizione guida turistica iran montare il 2015. Iran all'aperto attività turistiche, ricreative e gite di avventura. Demavand e sci alpinismo. Estate e inverno, arrampicata e trekking. Damavand vanlig trekking til avansert fjellklatring og klatreturer. Winter omvisning for klatring, ski fjellklatring og snowboard til Alborz & Zagros Mountains. Fjellguide og friluftsliv turer 2015 Iran. Vandring og fotturer, ski og klatreturer. Winter klatring og ski turer. Fugletitting og butterfly fange tour. Klatring ekspedisjon reiseleder iran montere 2015. Iran utendørs turisme aktivitet, rekreasjon og opplevelsesturer. Demavand og ski touring. Sommer og vinter klatring og trekking turer. Дамаванд обычного похода к передовым альпинизма и восхождений. Зимние экскурсии для скалолазания, горнолыжного спорта и сноуборда на Эльбрус и Загрос. Горный гид и активного отдыха туры 2015 Иране. Пешие прогулки и походы, лыжные и восхождений. Зимнее восхождение и горнолыжных туров. 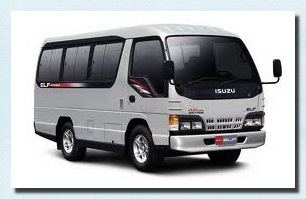 Daily services in details for 5 Days Itinerary tours. At IKA Airport by driver/interpreter/guide. Meet your guide at Airport or Camp1. From IKA Airport or your hotel in Tehran to Camp1 Polour Hut. Over night at Camp1 Polour Hut. By 4WA cars from Camp1 Polour to Camp2 Base (as far as the car can go up). Trekking by your Guide from Camp1 to Camp3. Porters, horse/mule to carry your equipments from Camp2 Base to Camp3 New Hut. We transfer the following equipments by porter and mule to Camp3 few days in advance and will be available at C3 before your arrival so you do not need to carry heavy gears by yourselves. Food and drink, Cooking gear, Mattress, Sleeping bag (bring lining), Tent (if necessary). • Breakfast, lunch box, dinner. • Drinking bottled mineral water. Over night at Camp3 New Hut. Guiding support from Camp3 to about 4800 m, trekking by your guide to about 4800 meters. Guiding support from Camp3 to the summit and back to Camp3. • Breakfast, food packets, dinner. Descend down by your Guide to Camp2. • By 4WA cars from Camp2 Base to Camp1. • By ordinary cars from Camp1 to Tehran. • Breakfast, lunch box, goodbye dinner. Over night at your home/hotel. Tour Ends. See you again.